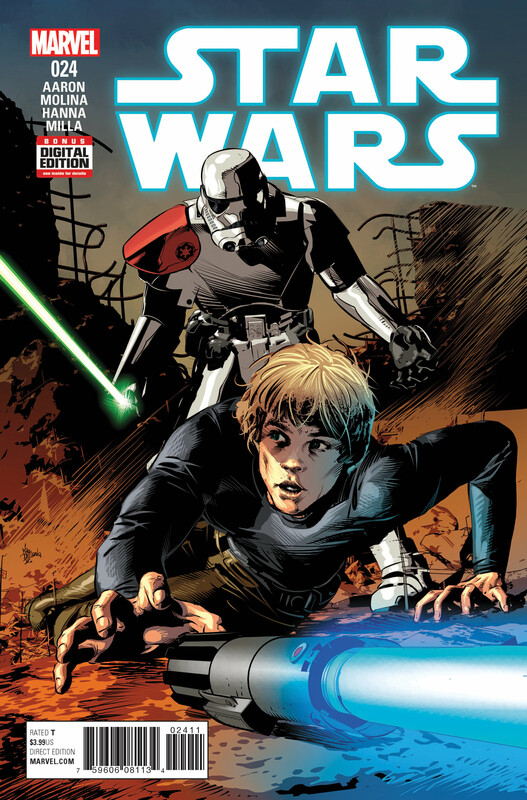 StarWars.com previews this week's Star Wars comics and examines how Marvel's flagship series gets characters right. 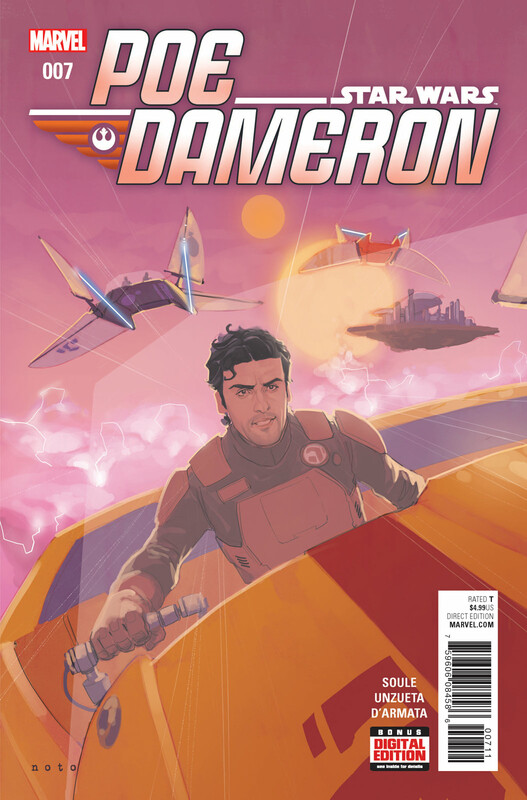 This week brings Star Wars #24 and Poe Dameron #7, and both feature moments that are a pleasant reminder of the fun and excitement that Star Wars provides. Here goes nothing! 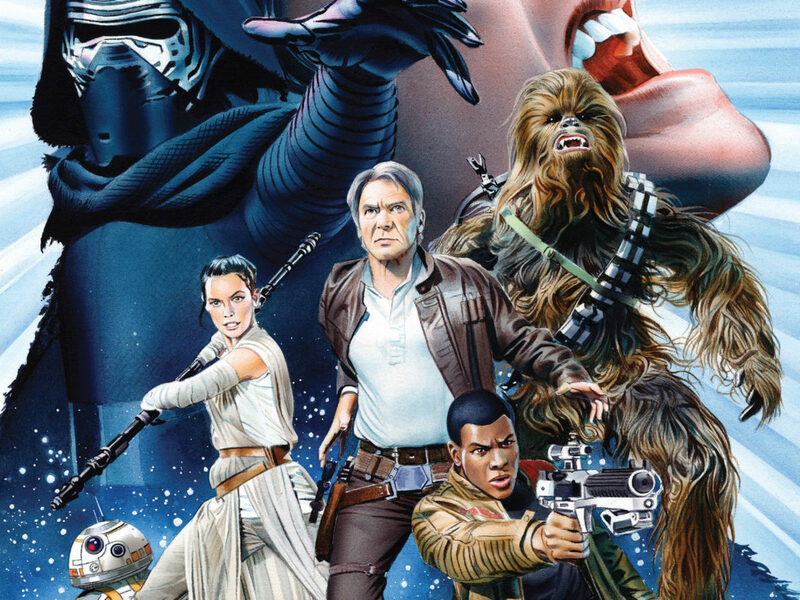 While there were no new Star Wars comics last week, there are two significant books out today, both further developing different characters and eras. Shall we take a look? Punch it. Han, Luke, Leia, Saina Solo, and their companions have captured an Imperial Star Destroyer, the Harbinger, and plan on using it to rescue the planet, Tureen VII. 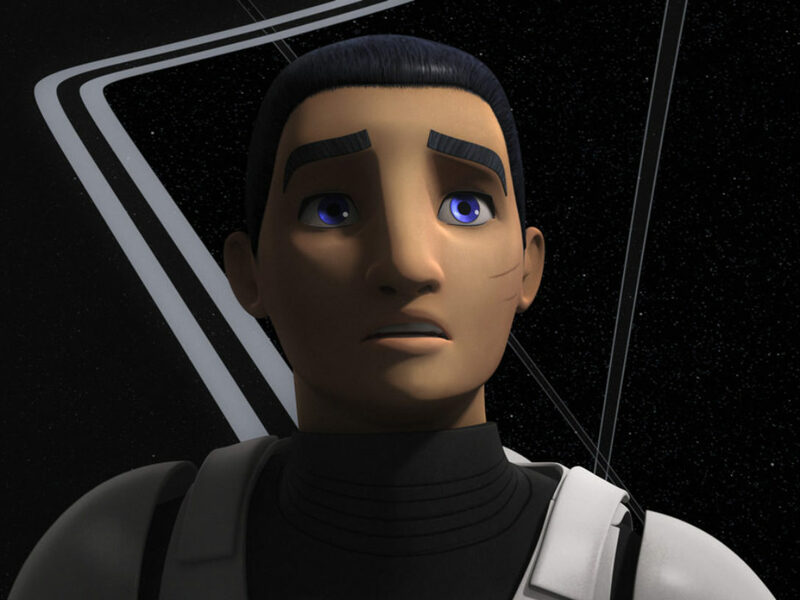 However, there’s more to deal with than the usual Imperial entanglements, and that something more is Scar Squadron. 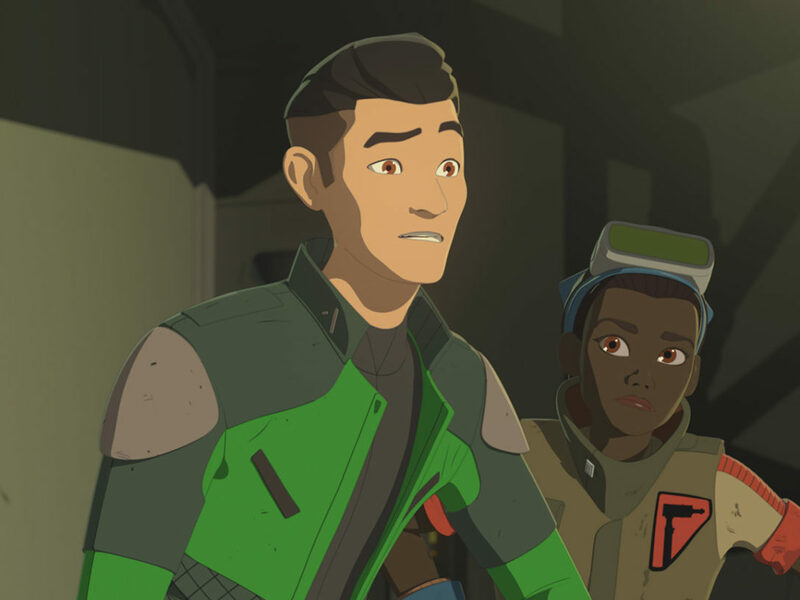 Sergeant Kreel, lightsaber and all, is ready to decimate the skeleton crew of Rebels, and he’s got his sites on the burgeoning young Jedi, Luke Skywalker. The showdown is a surprise for both combatants, and if you like surprises, just wait until you see the last page. 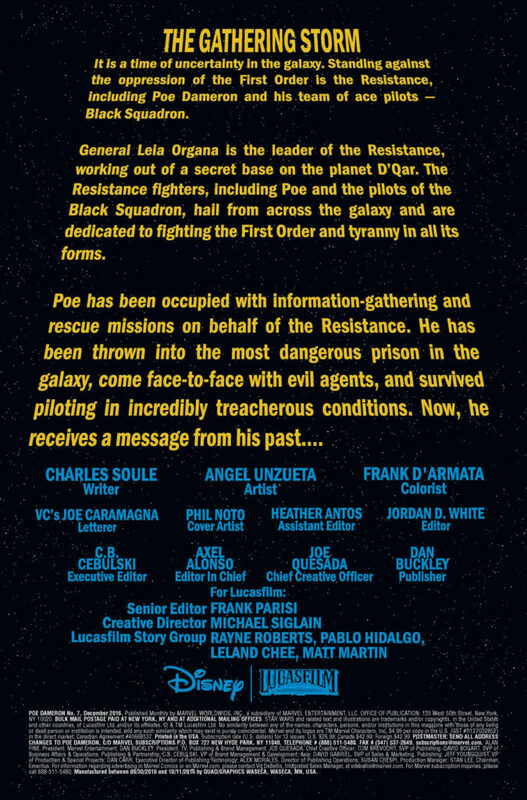 Poe Dameron got out of the mess that is Megalox prison, but his adventures are not over yet. He receives a message from Suralinda Javos, who has pertinent information that could be of the utmost importance to the Resistance. 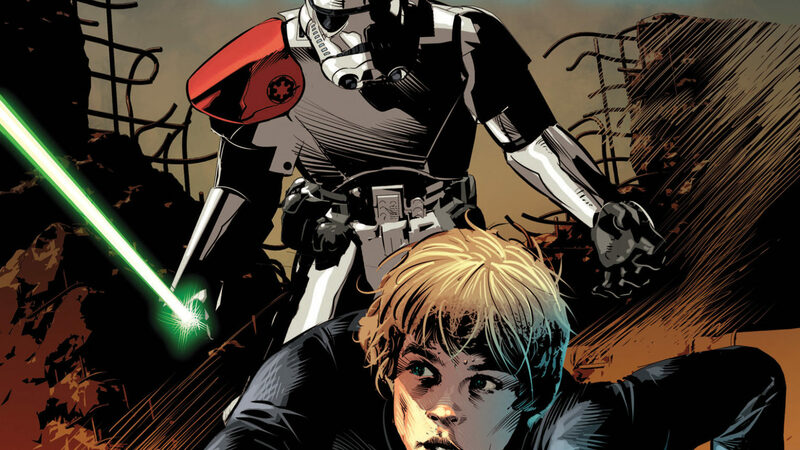 But first, they have to get there, and with the First Order in hot pursuit, it isn’t going to be easy. Plus, there’s more to Suralinda than meets the eye. Much more. 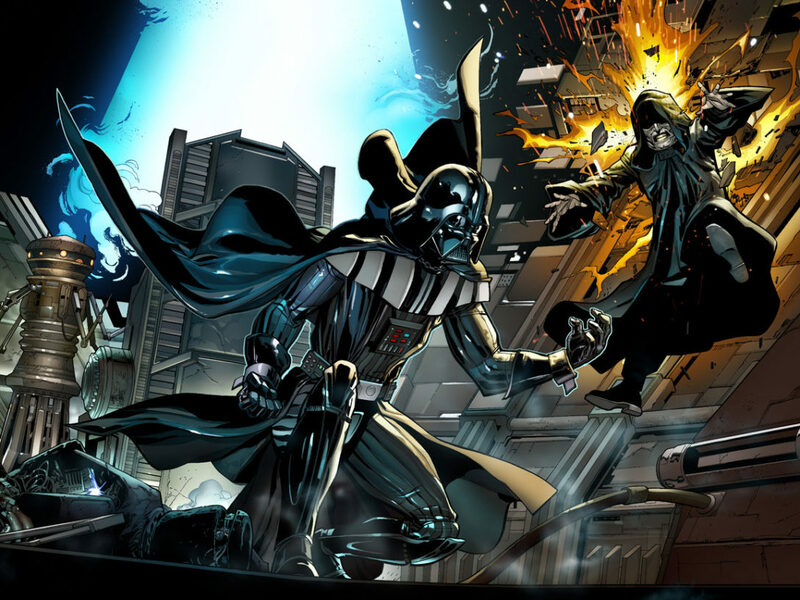 We talk about Marvel’s Star Wars series a lot in Comic Book Galaxy; Jason Aaron has seen to that with consistent, on-point characterization, thrilling action, and key character moments. Issue #24 continues that tradition, and kicks it up a notch. There are some important moments in this issue that further reinforce why we love these characters. It’s pure Star Wars gold. 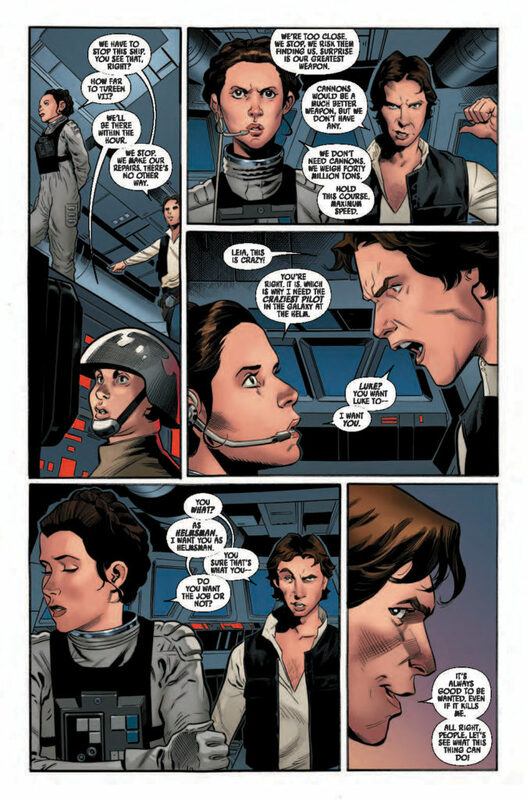 Grab your copy of Star Wars #24 and see if you agree. 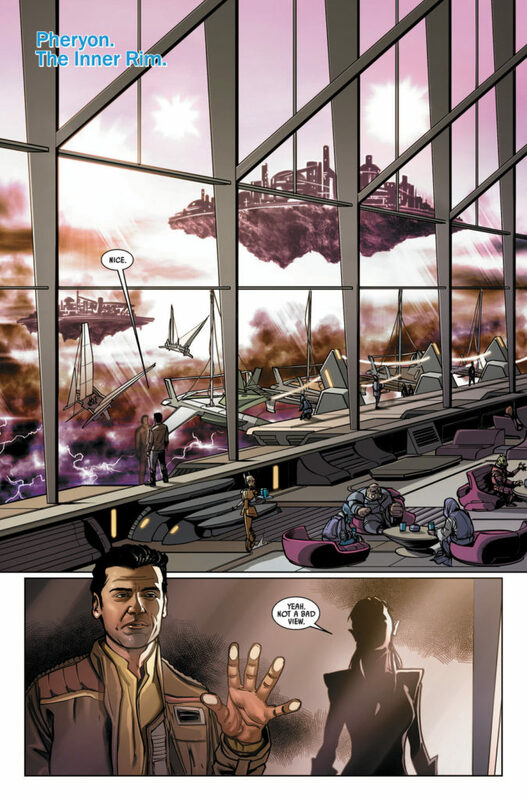 Issue #23 had a classic moment: Han and Leia race one another to see who will captain the Harbinger. It perfectly encapsulated the tension that belies the passion the two share. Certainly, it’s dramatic irony at its finest. But, since it’s these two, expect the unexpected. Cut to issue #24: in a critical moment of truth, Princess Leia must decide how to proceed en route to help out Tureen VII. Should they speed up, and use the weight of the Star Destroyer (Leia’s plan) to ram through, or should they figure out a way to blast their way through (the Corellian’s preference)? 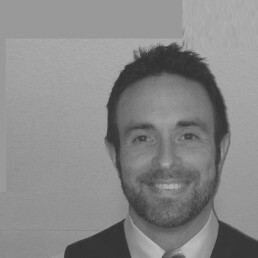 How they find a middle ground helps to add another layer to their evolving relationship. 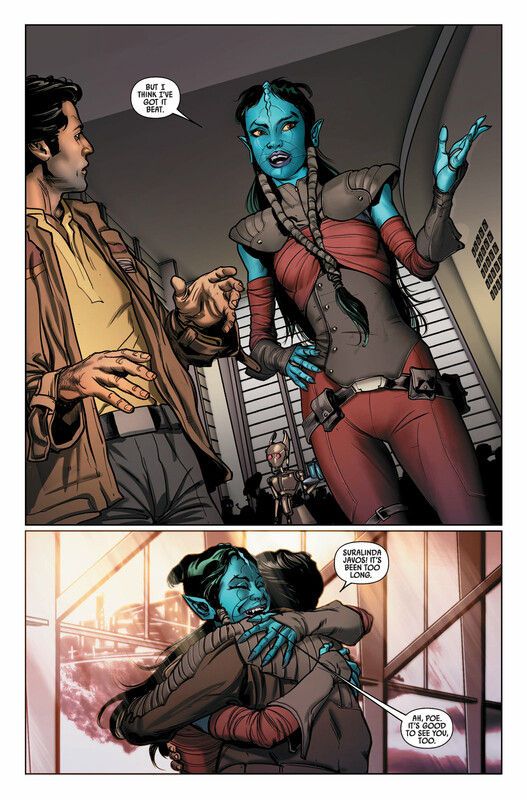 It’s a pleasant surprise for one of the two (no spoilers here), and clearly shows the respect that Han Solo and Leia Organa have for one another. Any way you slice it, the fireworks are consistent, and bring the two closer to that kiss in the asteroid field. 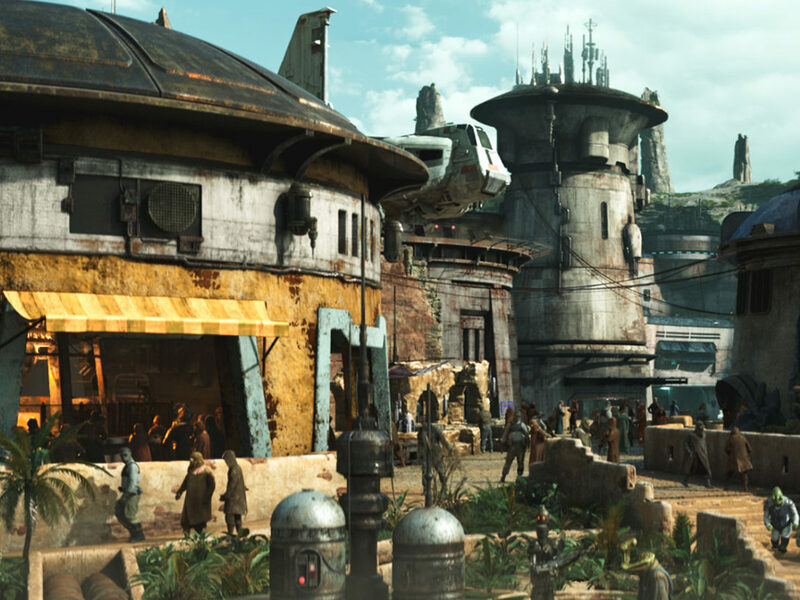 Part metaphor, part charm, and all Star Wars; you’re going to love it. Luke’s overconfidence, one could argue, leads to some serious problems for him in The Empire Strikes Back. 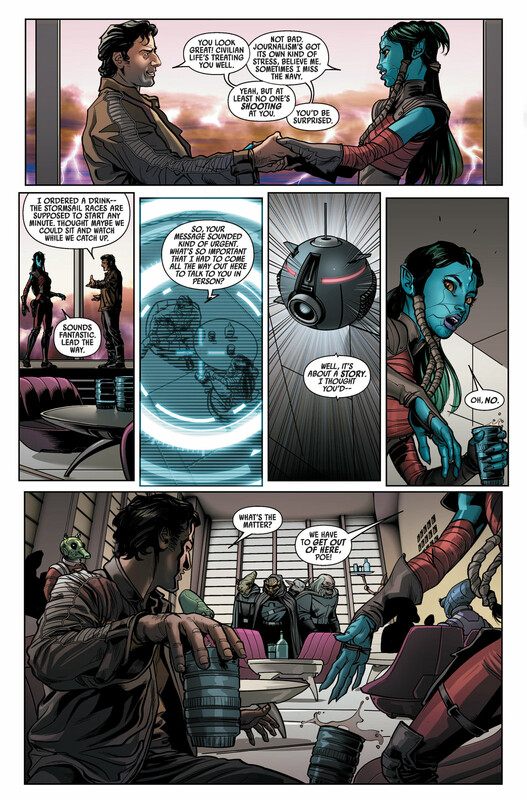 We see a brief window into this in Star Wars #24 when he comes face to face with Sargent Kreel. Readers of this series know that Kreel is no slouch with a lightsaber, but Luke is ready for action, regardless of the circumstances. He’s got a good reason to be arrogant (his dad is kind of legit, making his Jedi pedigree the real deal), and shows this in both word and deed. Kreel busts into the room where Luke and Saina are waiting, and Luke proudly proclaims, “Surrender. I warn you. I know how to use this.” If Kreel could raise an eyebrow in amusement (he is wearing a stormtrooper helmet, after all, so who knows? ), it’s happening in this scene. Luke is full of surprises, but he is still a bit outmatched. 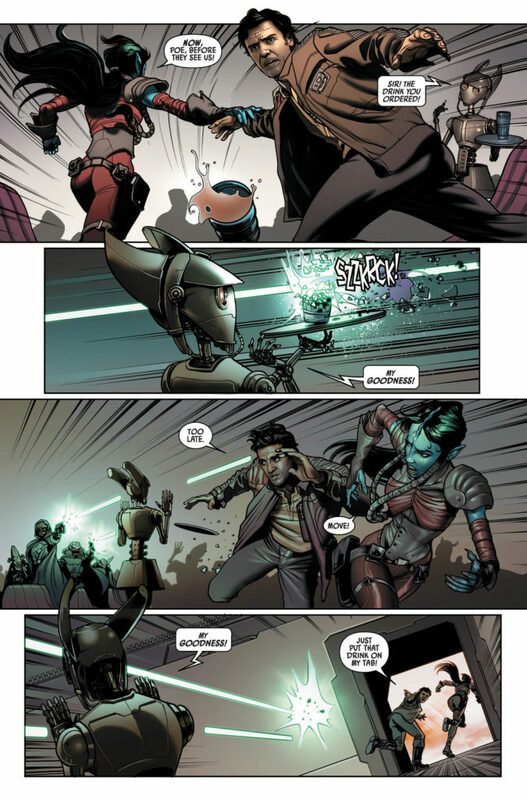 That doesn’t stop him from trying, and he’s got some witty repartee to go along with his ever-growing lightsaber prowess. While we know where the story goes, watching him get there is half the fun. 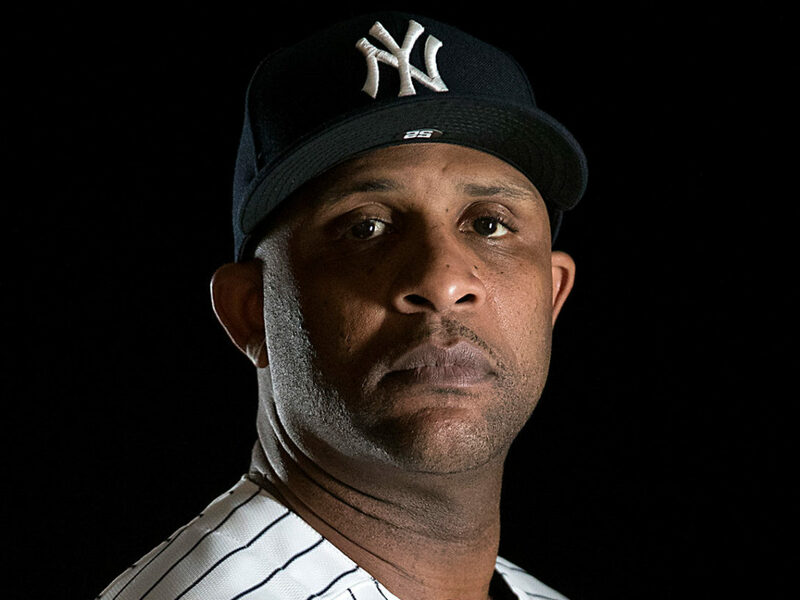 Still, he has to survive this duel. An important detail, I would say. Goldenrod is a master of the understatement. He’s a virtuoso of communication, but is not always able to explain what is going on around him until it’s too late. For instance, things are approaching critical for the rebels, and Threepio decides to pick this occasion to discuss the intricacies of Shyriiwook. He retorts to Artoo, “Oh, my! 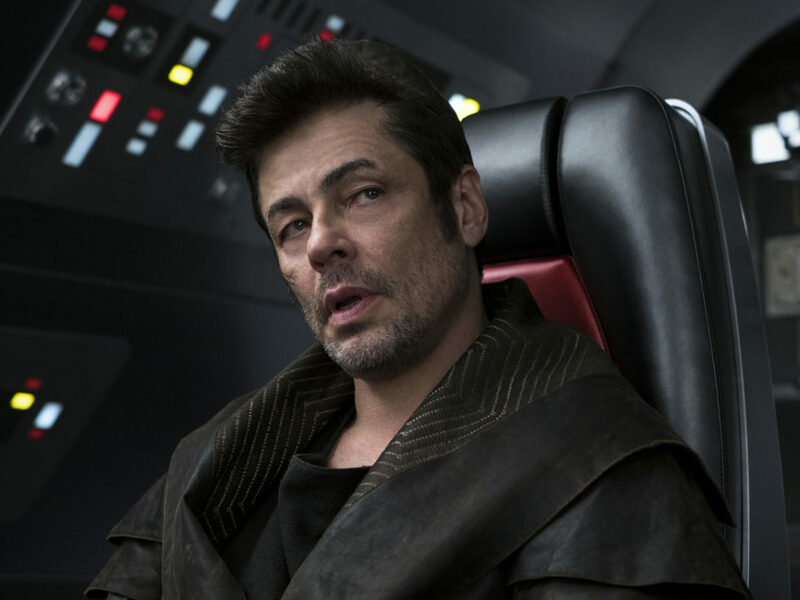 Why are there so many words for bloodshed in the Wookiee language?” Instead of taking command of the situation, he decides to embrace the more pedantic intricacies of the state of things. You can’t help but laugh at his comedic timing. 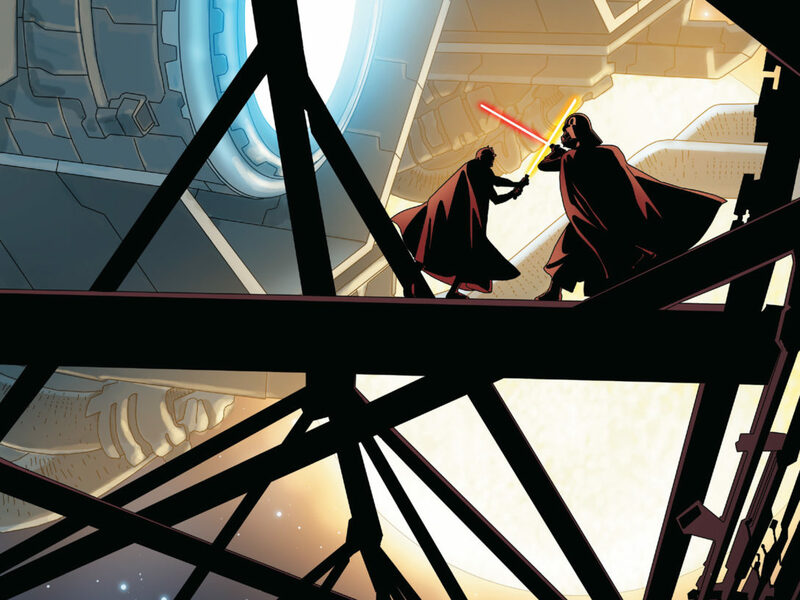 Did you enjoy Star Wars #24 as much as we did? Let us know in the comments below, and we will see you at the comic shop next week!